A Queen Mary Freshers’ Venue Guide. Fresher’s is a daunting time for everyone. Not only because you’re starting university, but also because you have to navigate an entirely new place. And if you’re a Queen Mary fresher, you’re double screwed because you’ve chosen London. All of the events, wristbands and guestlists on offer can be overwhelming, especially when you’re used to the one sticky-dancefloored club back home where everyone knows your name. Here in London, it’s no secret that everything is eye-wateringly expensive, meaning you need choose carefully where you spend your money on a night out. 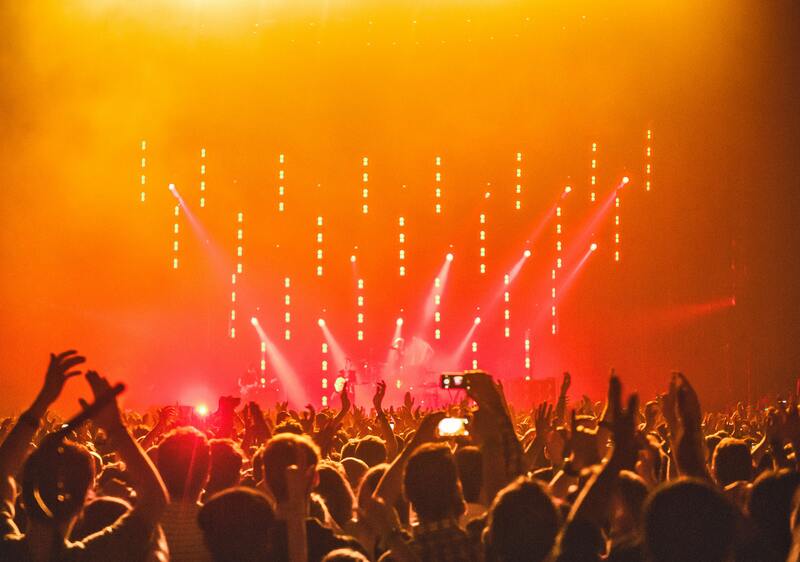 That’s why Cub’s music team has put together a useful guide of all our favourite venues around the Queen Mary Mile End campus. Being so spoilt for choice here at QM we couldn’t include all of our favourites, so we’ve even made a handy map with lots more pinned venues for you to try out. We’ve included something for every taste, budget and genre; so let us do the research whilst you enjoy the brilliant venues East London has to offer. A well-established favourite, Moth Club is the back room of an old Working Men’s Club that has been immortalised in gold glittered ceilings and streamers which you will undoubtedly be tangled up in by the end of the night. As well as holding regular sold-out ABBA nights; Dancing in the Dark 80’s nights; and the odd Maddonathon; the club is also popular for live musicians. Recent gigs include psychedelic pop group Mild High Club, London-based group Sports Team, and the gritty Hotel Lux. Keep your eyes peeled for Cub’s review of Kagoule’s set in this hallowed hall coming up in November. Read more about this and other similar venues here. Getting there: A 20-minute journey north on the 277 bus from Mile End. And better yet this bus runs at night, so no expensive Uber rides home! Birthdays is located on Kingsland Road: the main strip running through Dalston and the hub of much of the area’s nightlife. The relaxed bar-setting upstairs is contrasted by the dim lights and low ceilings of the basement venue, which holds both DJ sets and live music spanning electronic and drum & bass to acoustic and indie. The gigs held here are usually upcoming artists, meaning tickets are often fairly cheap – if not free. Most recently, the venue hosted So Young Magazine’s festival presented by CLEAN which featured Fontaines D.C., Sorry, FUR and Swim Deep. Getting there: The 277 again: just stay on a little longer until you reach Dalston Junction Station. One of London’s best-known and well-respected venues, XOYO consistently hosts some of the biggest names in electronic music: from disco to house to techno and back again. Previous years have seen the likes of Heidi and the Black Madonna, but this autumn you can catch Hunee’s residency there every Friday. His parties are inclusive, adventurous and not to be missed. Getting there: 30 minutes into the centre on the 205 bus (also a night bus) from Mile End. This intimate venue is a sister project of the team behind the Oval Space, which is located opposite. Some of electronic’s most respected DJs and producers come to play here. Notable names to look out for in the coming months include Jane Fitz and Josey Rebelle. Getting there: Take the D6 bus from Mile End towards South Hackney. A breezy 20-minute journey. Self-branded a “funky modern pub with live music”, Urban Bar sits squarely on Whitechapel road, conveniently just around the corner from the Royal London Hospital’s A&E department. Downstairs: booths, tables and pints. Upstairs: weekly salsa classes in a red brick cosy atmosphere: perfect for the frequent live musicians that take up the stage. Getting there: This venue is a short 13-minute bus journey from the Queen Mary campus. The 25 and 205 buses take you down Mile End road towards the city. Dive into the deep end at one of London’s biggest and best nightclubs hosting mainly techno and drum & bass events as well as live performances. Catch the likes of Bugzy Malone there this October amongst many others. This venue got its name from its former purpose: a printing factory. We haven’t learnt a lot about printing from clubbing here other than it takes up a lot of space (a 3,000-capacity space, to be exact). Tickets are usually more on the expensive side: upwards from £25, but they’re definitely worth it with the big names that perform here. Don’t miss the big events: Cocoon, Mosaic and Solid Grooves there this autumn. Getting there: A slightly more complicated route, you’ll need to get to Whitechapel (either on the 25/205 buses or on the tube) and then take the Overground to Canada Water. All-in-all still only a 30-minute journey. Keep up to date with all the best up-and-coming artists, gigs and even more venues with Cub’s music section. ← Tinder fairy tale or cursed unrealistic expectations?